MDC-T legislator for Bulawayo South Eddie Cross has made sensational claims the Zanu PF-led government has abducted at least 5,000 opposition party supporters since 2000. Cross was debating the Electoral Amendment Bill in parliament on Tuesday, where he urged the Emmerson Mnangagwa government to deliver free and fair election in the country. "In the past 17 years, I have been in the trenches in the opposition, and I can tell you - we have been beaten, killed, murdered in accidents and have had one person abducted per day since 2000. "Nearly 5,000 people of the MDC structures has been abducted, that is one person per day for 17 years," Cross said while being heckled by Zanu PF MPs. He added: "My colleagues (Zanu PF) on the other side are claiming that I am not speaking the truth. Mr. Speaker, you know me better than that. "If my colleagues want a list of those people abducted, together with their identity numbers and dates on which they were abducted and what happened to them, I can provide them. "I am prepared to provide that list to the media and it is not mythological, but the problem is because of this sort of activity which is basically on attack on democracy. "The international community sees these activities, receive the reports from us and declare the election subsequently illegitimate." The Zanu PF led government, under then President Robert Mugabe has been under fire for visiting violence against political opponents. GET A RUN TO BLUES and ROCK ! The MDC-T claims nearly 200 of its followers were killed while thousands more were forced to flee their homes during the height of state sponsored violence that followed Mugabe's shock defeat to bitter rival Morgan Tsvangirai during the first round of the Presidential election in 2008. President Mnangagwa recently claimed the 2008 elections were free and fair, inviting scorn from critics who accuse him of lack of sincerity in his attempts to restore lasting stability in a country that often slides into violent conflict during elections. Meanwhile, in his comments, Cross reserved praise for Mnangagwa for remaining steadfast when it appeared the odds were against him during the onset of Zanu PF's internal fighting when Joice Mujuru still controlled a party faction. 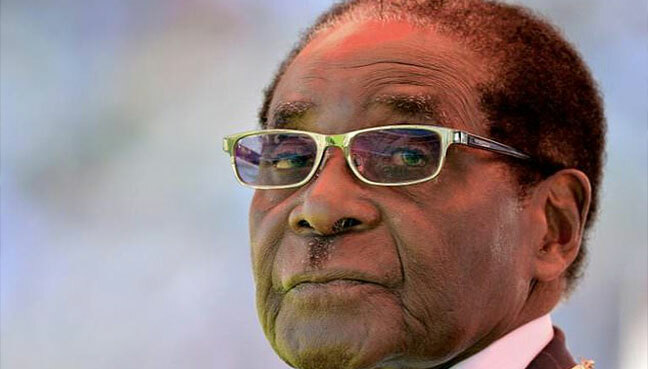 Cross also said he was shocked when he heard Mnangagwa insist Zimbabwe needed a free and fair election when the latter was still Mugabe's deputy. "I remember in 2017, about the middle of the year, when I had a conversation with him and he said to me we have to have a free and fair election," he said. "I was shocked because I felt that he had little chance of winning a free and fair election because he is opposed by everybody; G40, Joice Mujuru, now the Mugabes, MDC and despite that, he has stuck to his guns and I respect him for that enormously. "You can see the reaction of the international community already. "The flights from Johannesburg to Harare are full. You have to book a seat on a plane, two-to-three days in advance. I understand during the first two months of this year 49,000 business visitors from overseas came to Zimbabwe. "The American Ambassador says he cannot handle the enquiries that he is receiving from the United States. I personally have been involved in the negotiation of contracts worth nearly $3 billion in the last two months. "This is a sign Mr. Speaker Sir, that the international community is responding to something. What they are responding to is the commitment by this Government to a free and fair election."